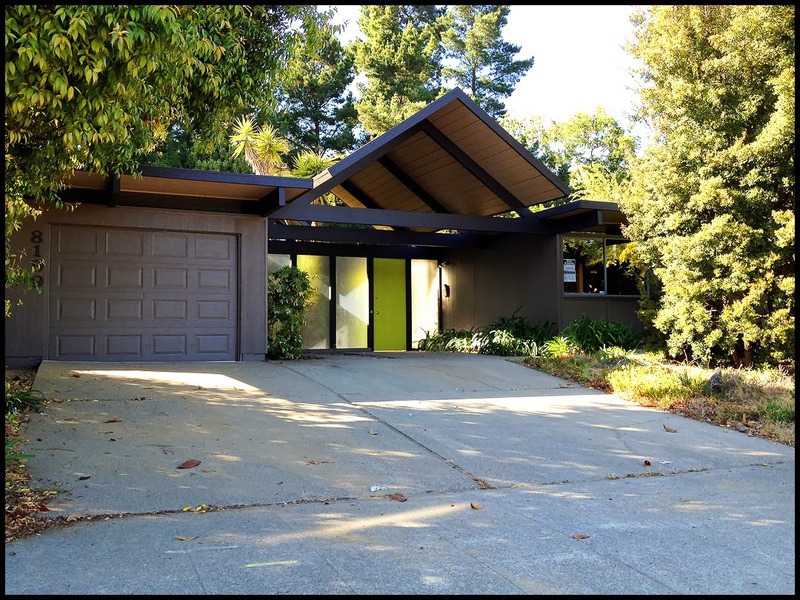 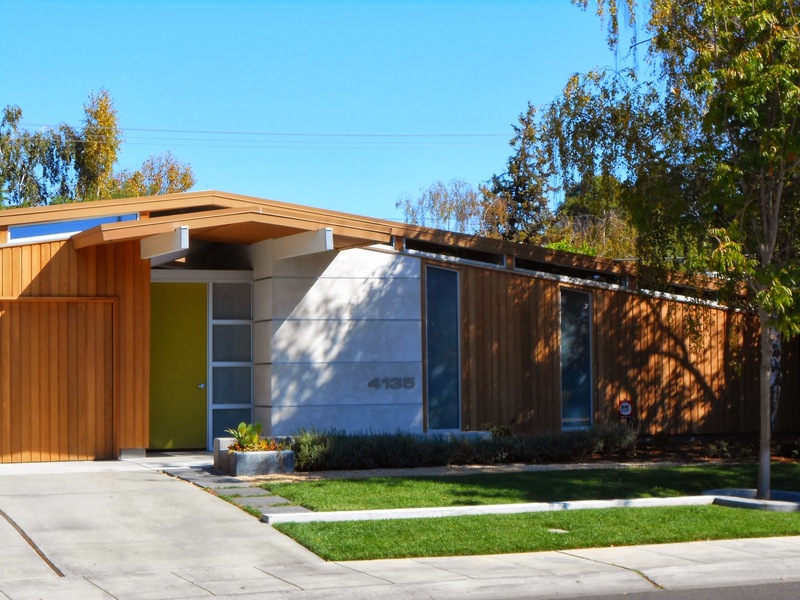 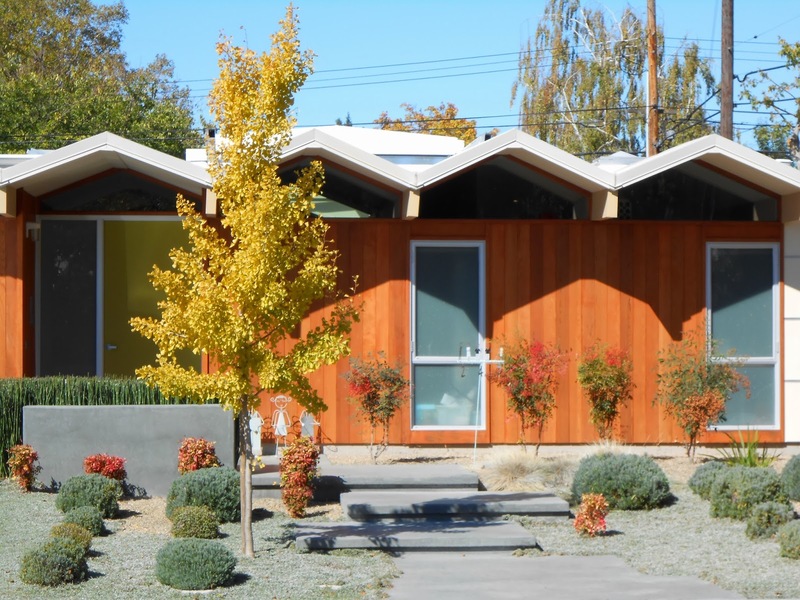 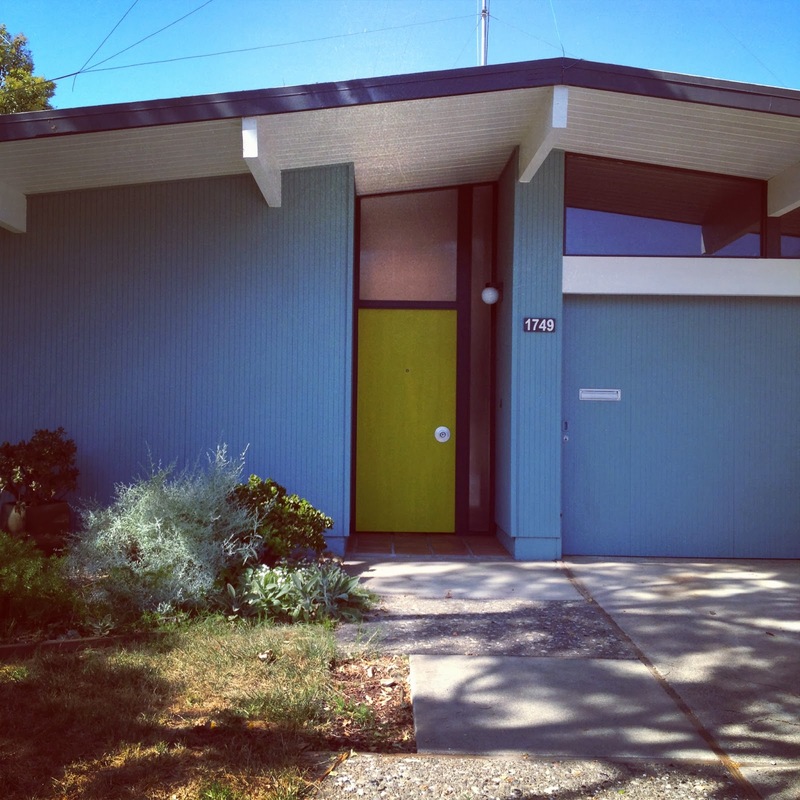 Blue is a popular color for Eichler front doors, as evidenced by these blue Eichler doors. 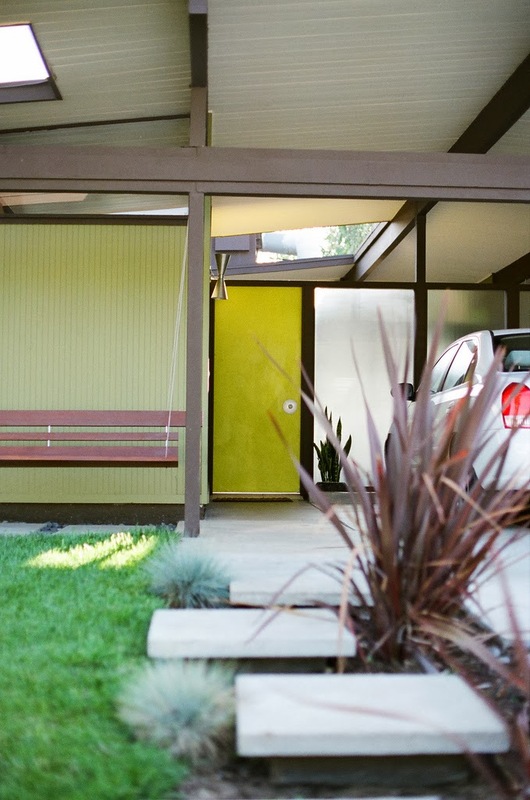 But green seems to be just as popular in its own right, especially a lime or charteuse green. 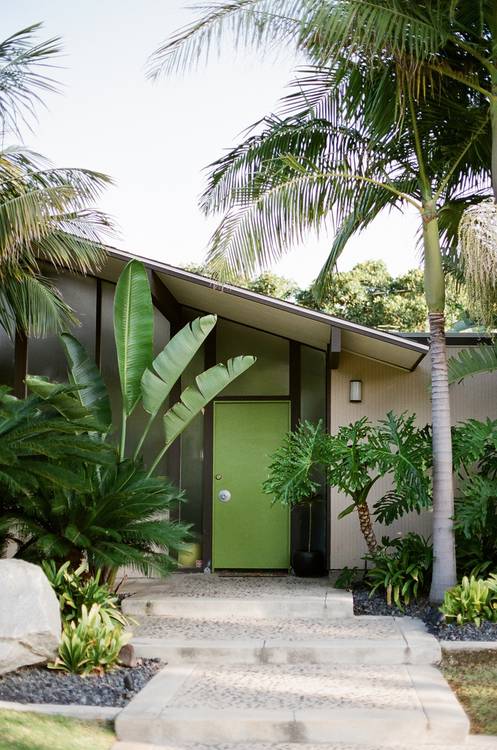 One of my neighbors has a chartreuse door, and it looks great.